eMatch helps you find the perfect match. A reliable platform for singles who are looking for a serious relationship. Are you looking for your soulmate? eMatch enables you to get in touch with singles who are looking for true love. Our staff checks and verifies all the member profiles in order to garantee you a safe online dating platform. Check out what singles meet your criteria or use our tools to find the perfect match. Surrender to romance and start dating today! Whether you wish to use your smartphone or your regular computer, you can always login on eMatch. The site will adapt to the medium of your liking. Unlike many other dating sites eMatch has a well-balanced gender ratio. Looking for a partner who shares the same Christian values?eMatch helps you find your Christian match. I met Daniel after first dating two other guys. We instantly connected. After eight months we're still together. Connect with homosexual men and women who are looking for a long-term commitment. Are you a senior who's looking for a deep and meaningful relationship? 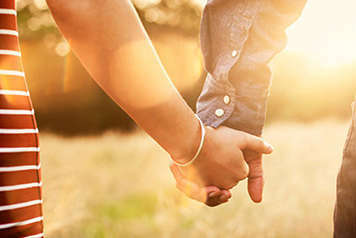 We help you connect with mature and loving singles. I thought online dating sites were some sort of meat markets. Not at all! Thanks to eMatch I now have a warm and loving relationship. Are you looking for someone who knows what it feels like when your child attends school for the very first time? Meet responsible single parents. Meet quality singles all across United States. eMatch has members residing all over the world. Check out matching singles in your neighbourhood.